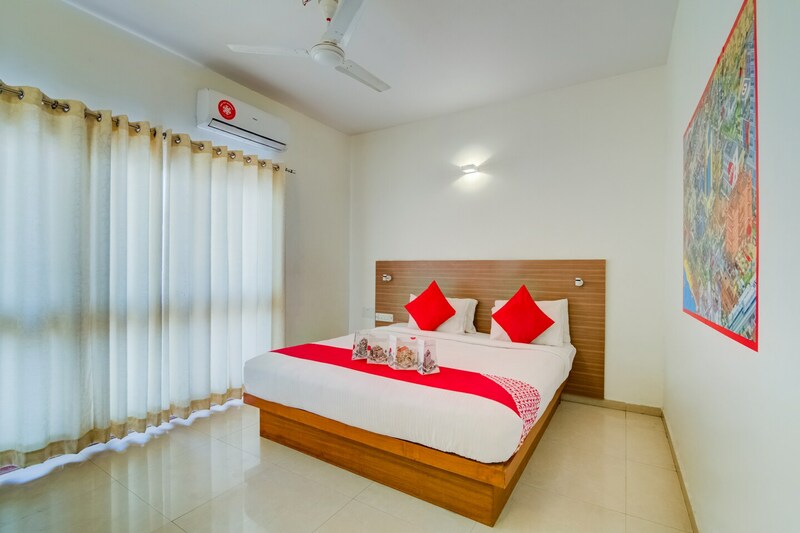 Hotel Elements Mall is an elegant, chic and modern accommodation for the modern traveller in Bangalore, the hotel ensures to provide a comfortable and pleasant stay. The classic, warm and charming rooms in this hotel are pleasing and designed to keep the comfort of guests as the top priority. The wall is adorned with creative map work of Bangalore. The wooden furnishings and cozy balcony space give a warm touch to the overall room decor. Various facilities are available to guests such as free WiFi, minifridge and hairdryer. The eye-pleasing dining area has a modern and pastel decor with a fine menu of local dishes.